The ASi-T module is designed to allow the theory and practice of the Actuator Sensor Interface to be taught. The module uses a combination of practical applications and the theory. The use of automation, improved methods of control and the development of Fieldbus technology are all essential learning requirements for an engineer. The use of AS-i intelligent sensors, actuators and remote I/O in the most efficient and effective way and how to integrate AS-i into higher Fieldbus systems are included in the course. Students will build, configure and exercise their own AS-interface system from the beginning and the planning and installation of Fieldbus networks. No previous knowledge of AS-i or other Fieldbus systems is required. The ASi-T module consists of a Siemens Simatic S7-300 Modular PLC complete with AS-i master, and all required I/O. 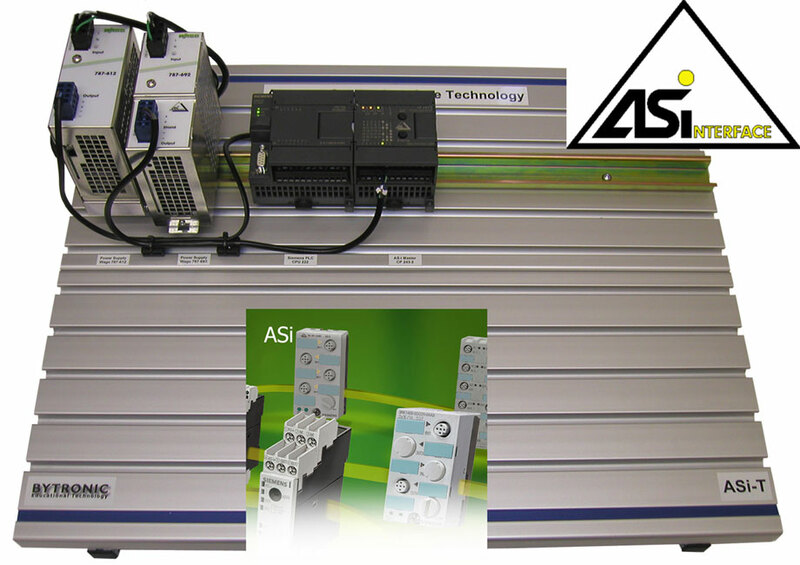 The ASi-T is mounted on an aluminium board, and is supplied with a courseware manual.